While we did in fact have garden attempts in Alabama, it seems I never actually posted them. They were major fails other than we always had more than enough rosemary, but that came with the house. The raspberries did seem like a success, but we planted them not long before we moved and only got to enjoy a few of those. 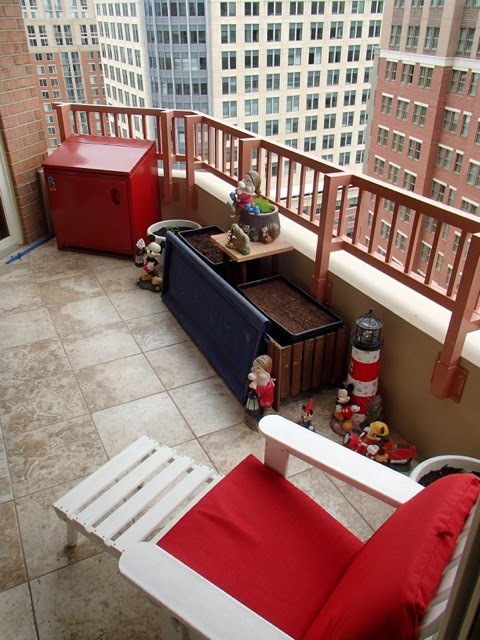 Anyways, having a porch was one of my must haves when we were condo hunting and the main reason was to be able to garden. Months ago (maybe even like a year ago) I got the idea that we should make a planter using an old Chevy tailgate. 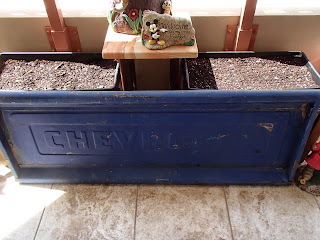 We didn't exactly end up doing that, but we did get an old Chevy tailgate and incorporate it into the garden decor. Dad was going to build a planter and attach it, but it was getting time to plant and we happened across some planter boxes at Ikea that ended up making an even better set up. 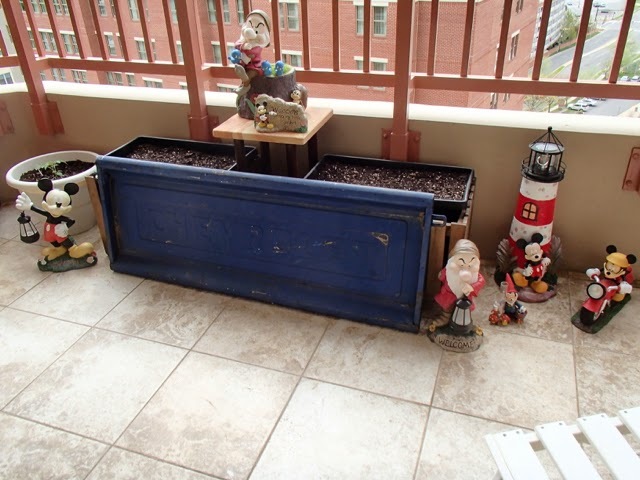 The garden also includes a Grumpy pot, two big pots for tomatoes, and, of course, our Disney patio decorations. My penguin army had been lined up against the wall where the planter now is, but they have not been banished from the porch quite yet. 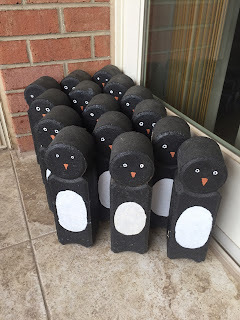 Mik said when we first moved in that they should only be for winter, but then he changed it until there wasn't a spot for them to be out them. 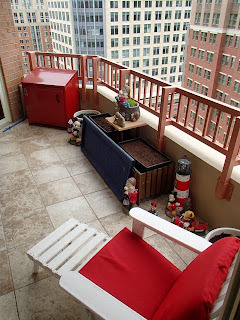 For now they are in the corner, but I might eventually add another planter over there and then perhaps only only leave a few out and only bring them all out in front of the tailgate as our holiday decorations. We planted the garden about four weeks ago now and so far everything looks good. We planted grape tomatoes, cherry tomatoes, cucumbers, purple beans, dill, edamame, and spinach. Below are some of the photos I've taken of the garden over the past few weeks. 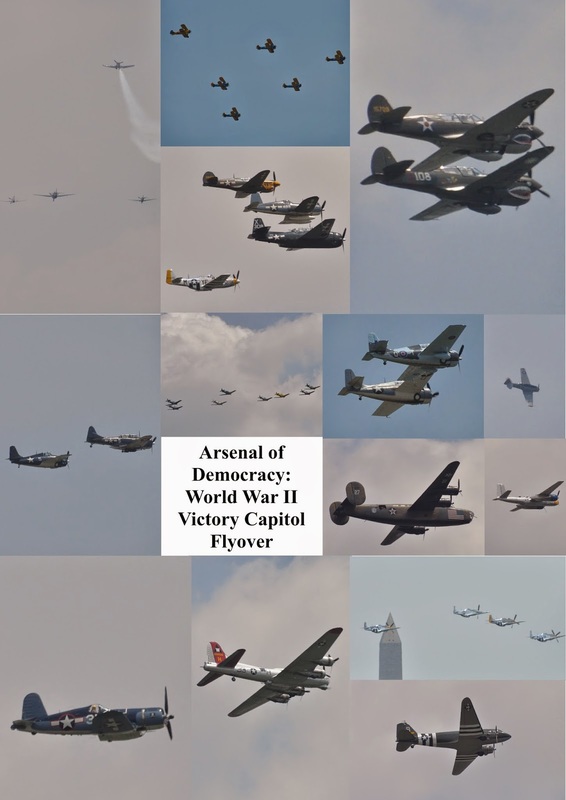 Yesterday at sort of the last minute I decided to see what the WW2 Flyover I had been hearing about was all about and ended up calling Mom to see if I could watch it from her office. After going into work with her, Dad texted me that Mik and I should take the Metro to Archives and check out the Flyover. Thanks, Dad, but already had my own plan. I mainly choose to view it from Mom's office to avoid the crowds on the National Mall, but Dad watched some of it on his lunch break at the Capitol and said based on my photos I had a better view. It definitely was a great view and I even managed to get some decent photos, which while I was doing it I wasn't so sure if they were coming out all that great. Some of my favs are below the break.